You have no idea how many photographs I've taken recently, nor how many topics I've covered. How could you? I've not been churning out posts - and even this is late. Trouble is, I've been overwhelmed by choice. In the end, I've cheated and will simply present you with a small selection of autumn photos. After all, it is autumn. What more pressing subject could there be? Chicory is one of my favourite plants. 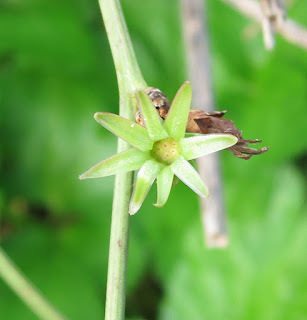 Its flowers get smaller as the season advances but they stand out specially against the aging vegetation beside the path. Some petals have fallen. Some seeds are forming. Some parts of the landscape are still green. Others are brown and white. Hawthorn doesn't 'do' autumn - not in the striking way of some other deciduous trees. Most of their leaves drop discreetly but there are prima-donnas among them, leaves which decide to do a dazzle all on their own. This is one of the larger ones. I photograph it in the same place every year. Wonderful shapes it makes against the sky. The most recent tree following posts . . .
And, finally - the view I'm following through the seasons. Have a good autumnal week. Beautiful photos as ever. Chicory is such a lovely blue. It often grows here from birdseed that has been dropped. The hawthorns have nearly all dropped their leaves here and berries are few and far between. 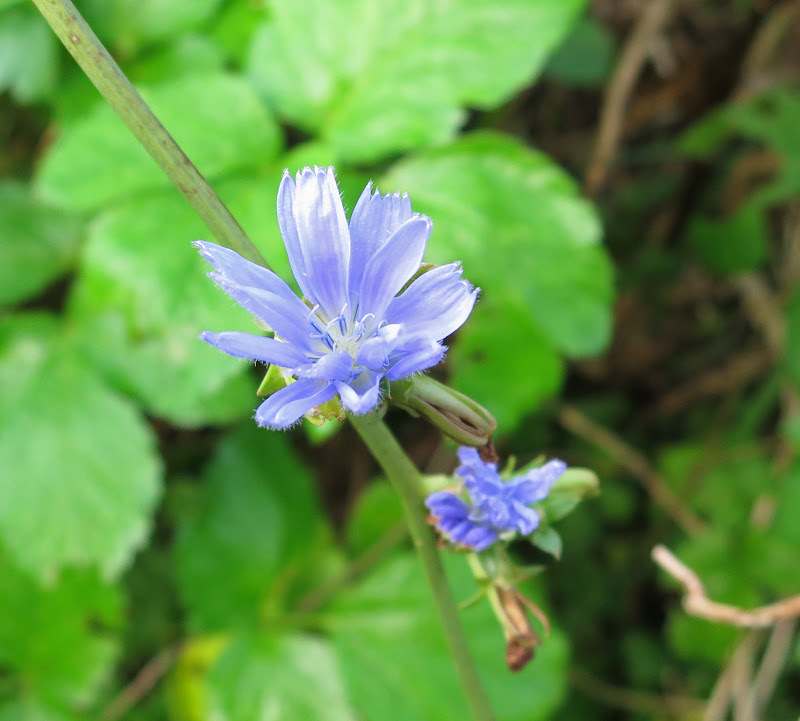 I have never seen Chicory in the flesh, but I love the colour of it. Lovely selection of shots Lucy! I'm looking forward to following your view through the seasons. That sounds like fun. I like chicory too though the only place I've seen it growing wild is Romania. Lovely photos especially the teasel. Lovely photos! And I too love chicory, though I used to see a lot more of it in Boston than I do here in DC. But that color, ethereal and vivid at once, is such a joy to behold. I love this time of year for photographs - the colours are more subtle and much more beautiful. A lovely selection of photos, Lucy - I especially like your Willow Herb!